Happy Tuesday Friends! 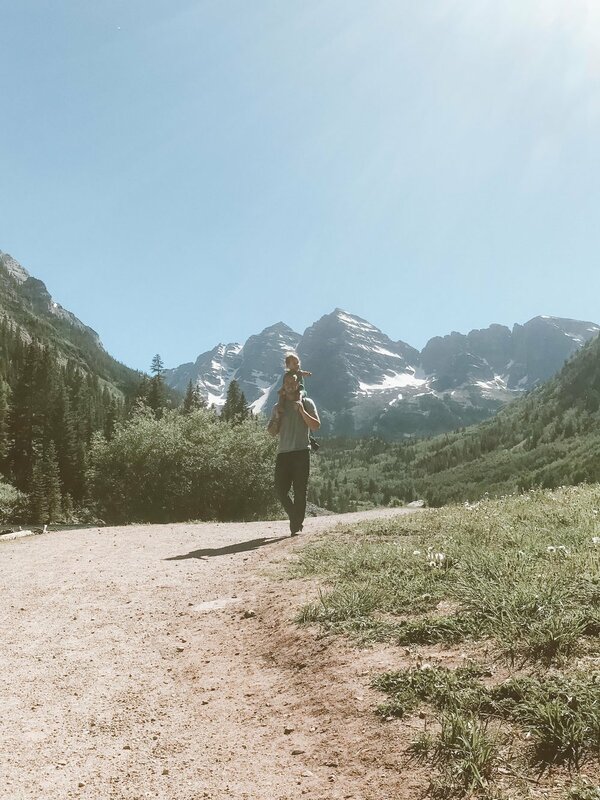 I'm just jumping on to share our second part of our little mountain staycation in Aspen today. I wanted to get this post up before we leave on another adventure this Thursday. If you missed it, catch Part 1 of our Mountain Staycation HERE. Where I shared what we did and where we stayed in Aspen. This post below is completely dedicated to Maroon Bells because it is absolutely stunning and these pictures don't even do it justice. Finally getting to see this spot in person was so fulfilling. I felt so content and in awe of God's creation and the fact that he made the earth in His Image. He is so good and looking around confirmed how abundant God is! We sat and let Olive play in the water for quite some time... I nursed Pearl, we walked and talked and just enjoyed the scenery around us. I can't believe I didn't snap photos to the right and left because it's just as stunning. If I lived in Aspen I would want to come up every other day just to enjoy the peace and fresh mountain air. I don't think anything smells better than fresh mountain air... okay... newborn babies... but it's a close tie! I hope if your reading you put Maroon Bells on your bucket list because it is for sure a site to experience! Honestly, this day was just SO dang special, I really don't have any other words to describe it. I ordered some huge prints of these photos to put in Olives room so she can remember our family adventure together and so we can see it every day and be reminded of Gods abundant love. 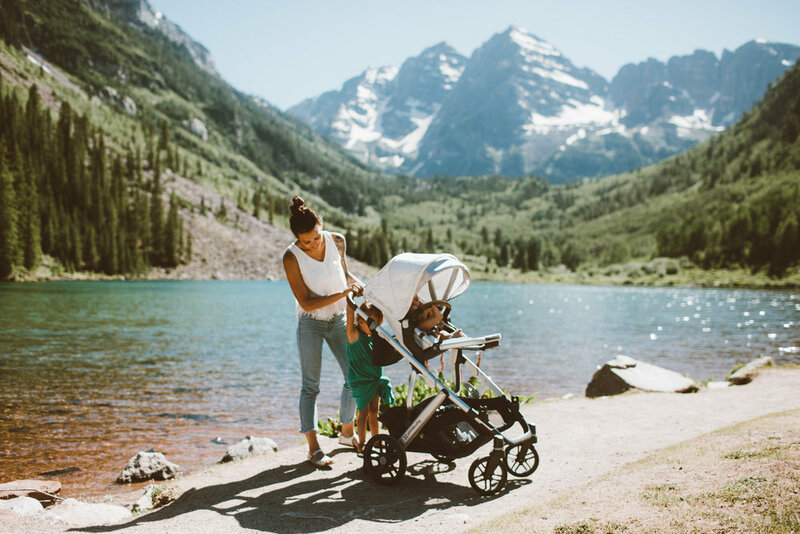 Maroon Bells is a quick walk from the parking lot so it was nice to be able to bring our stroller around knowing that we didn't have to hike to get here. (You can hike the trails around but we chose not to with the girls.) It costs $10 cash to get in, they don't take card so if you make the drive make sure you have cash or they won't let you in and make sure you check the schedule and shuttle times. We had kids, so we didn't have to take the shuttle but if you don't, they make you park way down the road and then take a shuttle up during the busy months.